This natural area provides relaxing recreation for all who visit. As its name suggests, red-winged blackbirds can often be seen and heard in the wetlands. The Larimer and Weld Canal flows on the north side of Redwing Marsh. Redwing Marsh is north and east of Greenbriar Park (Willox Lane) with walk-in access from surrounding neighborhoods. Nearest parking is at Greenbriar Park. Red Wing Marsh's approximate address is 657 Willox Lane, Fort Collins. 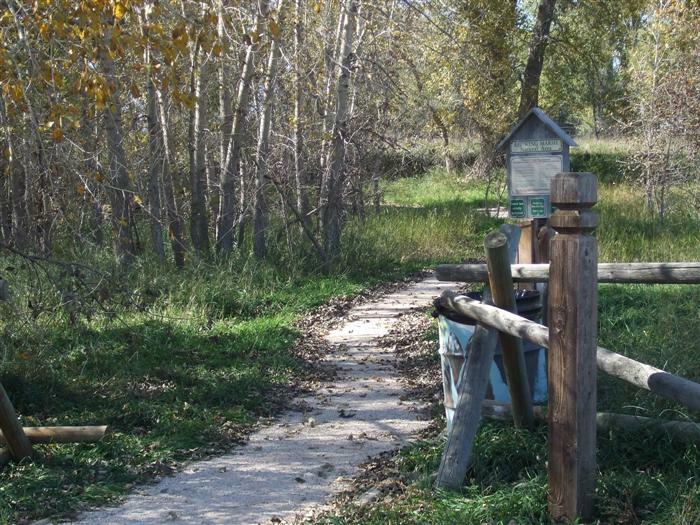 Free educational programs at Redwing Marsh Natural Area are available for groups by request, call the Master Naturalist Program at 970-224-6118 or email YWNobGVibmlrQGZjZ292LmNvbQ== . This site has been adopted by Bonnie Urie and Lisa Ritter- thank you for your litter pick-up efforts!